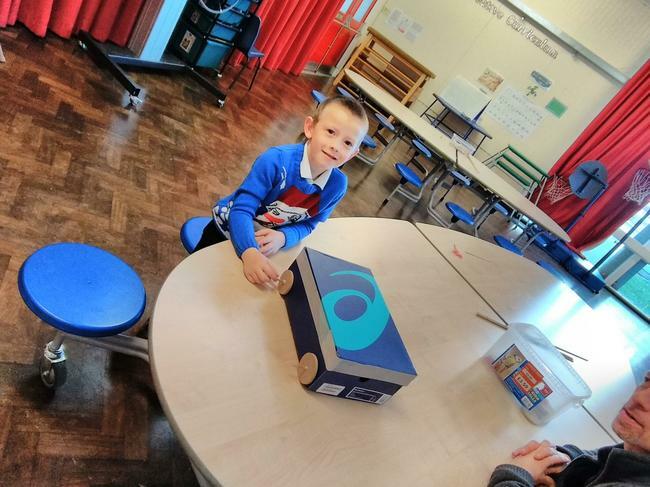 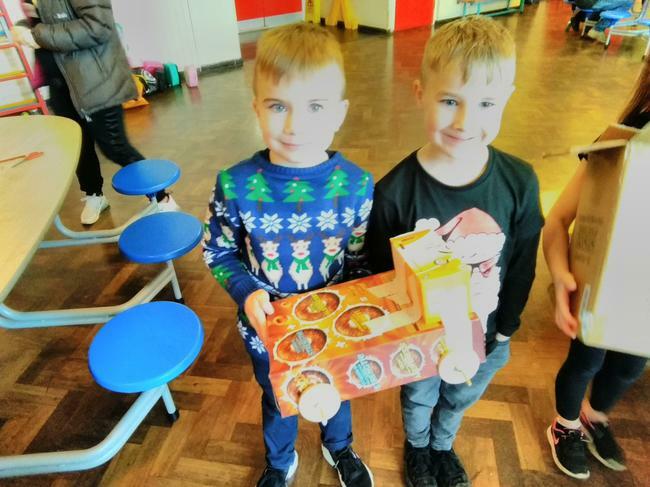 We have had a lot of fun creating our moving fire engines. 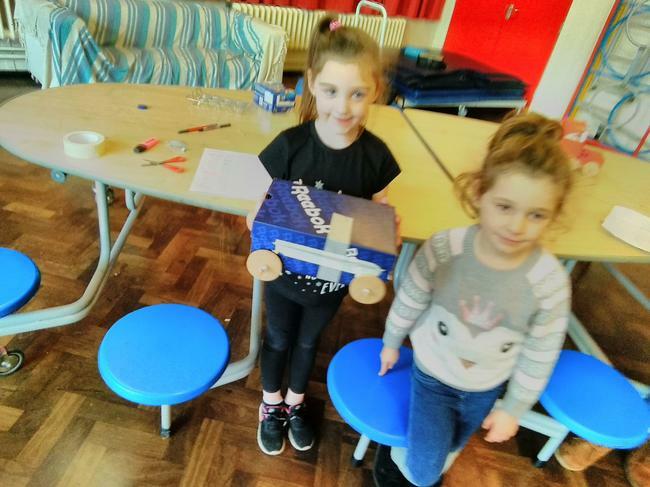 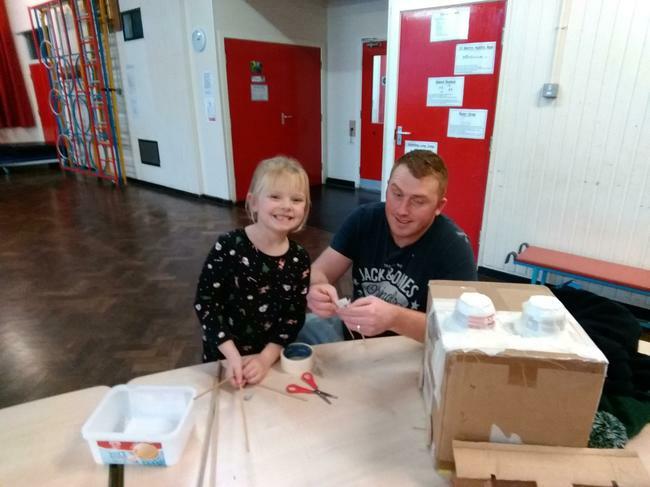 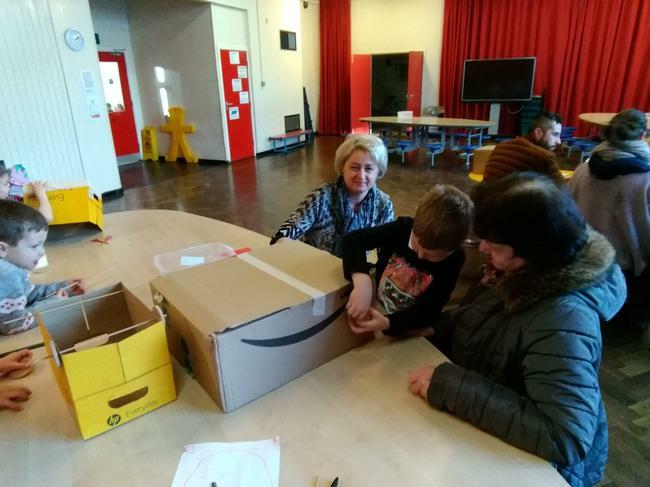 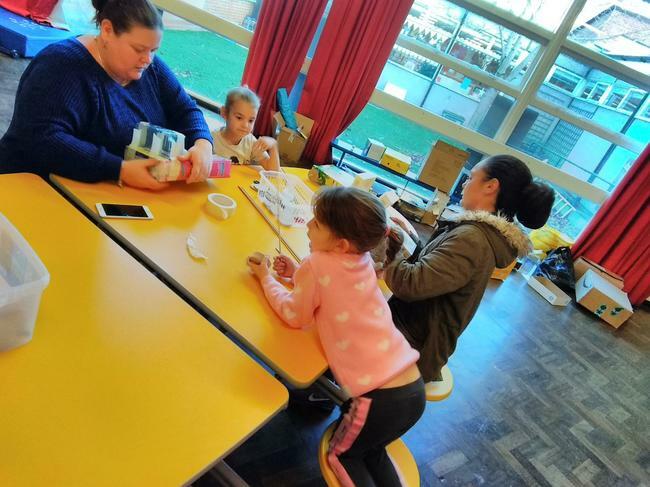 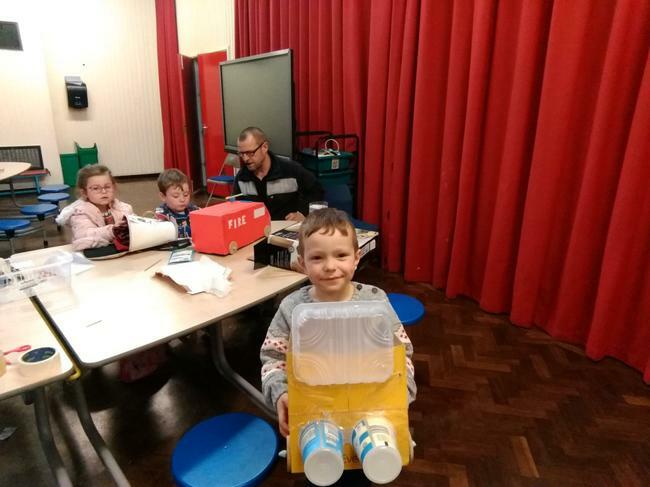 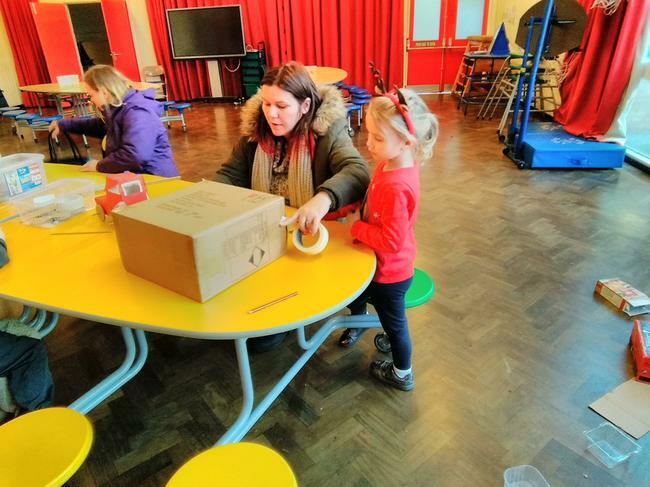 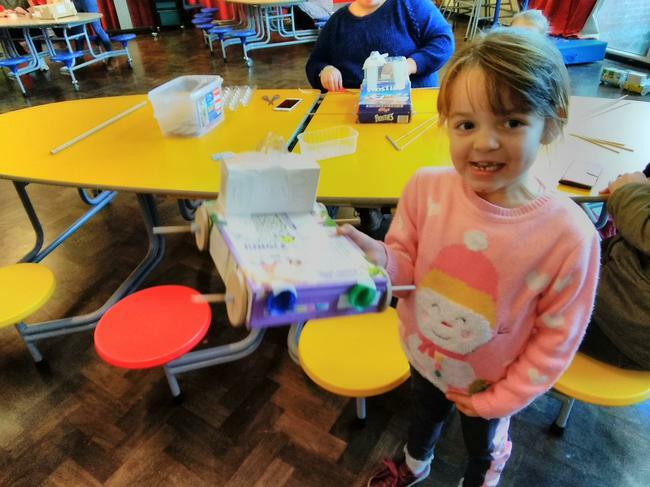 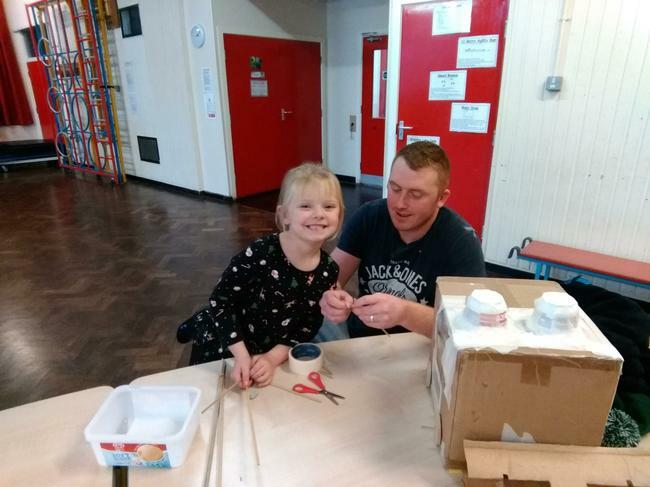 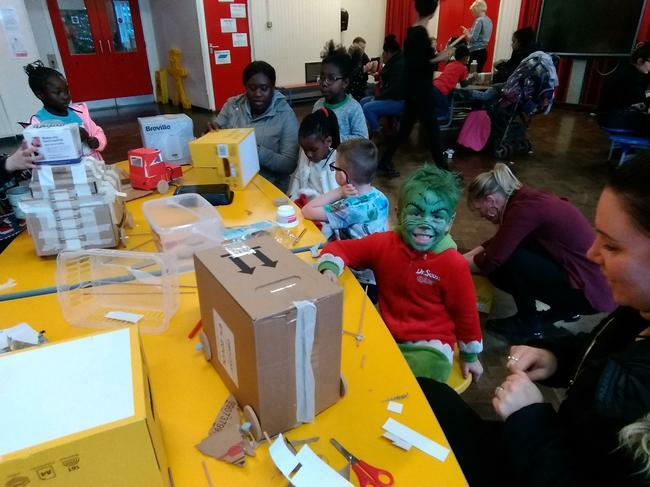 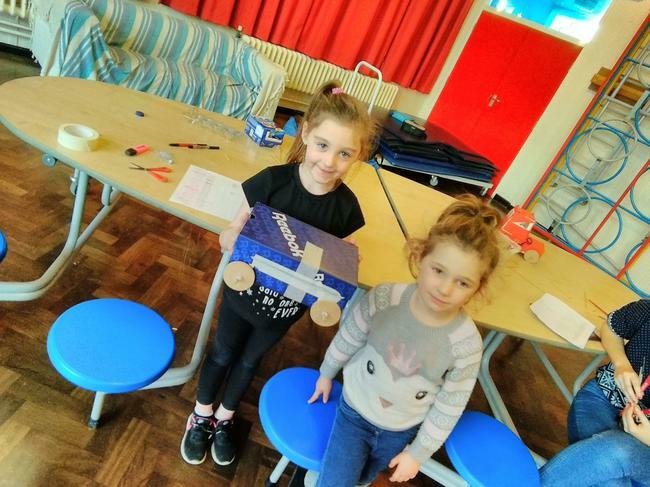 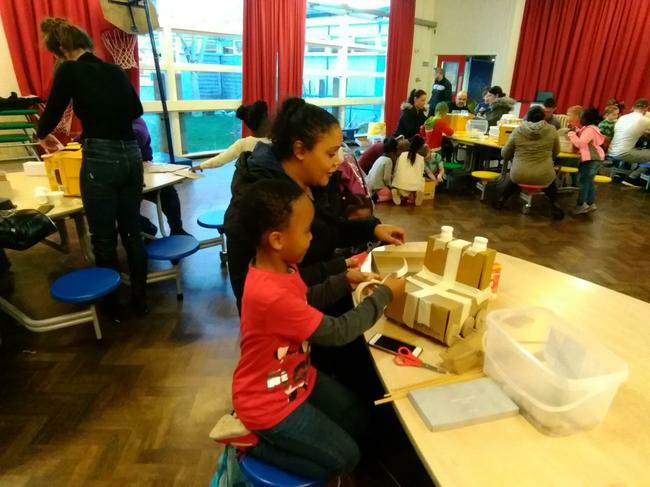 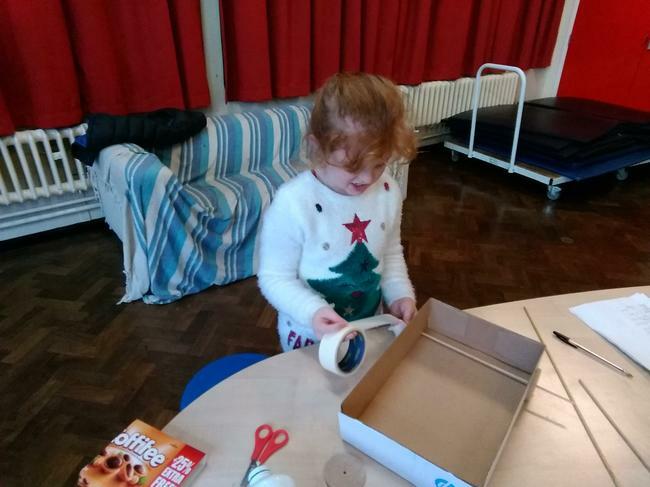 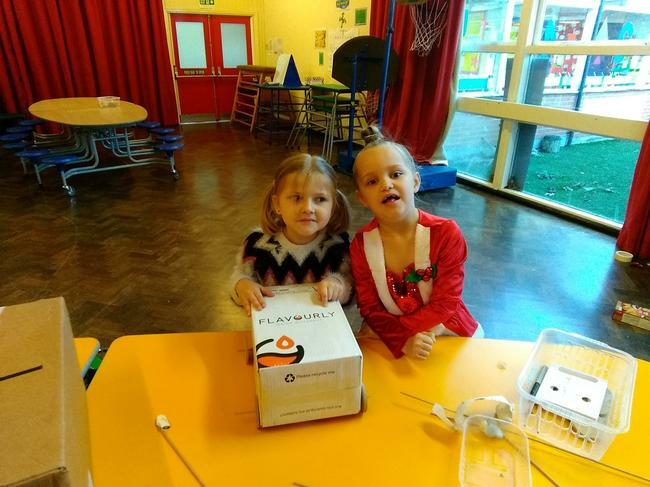 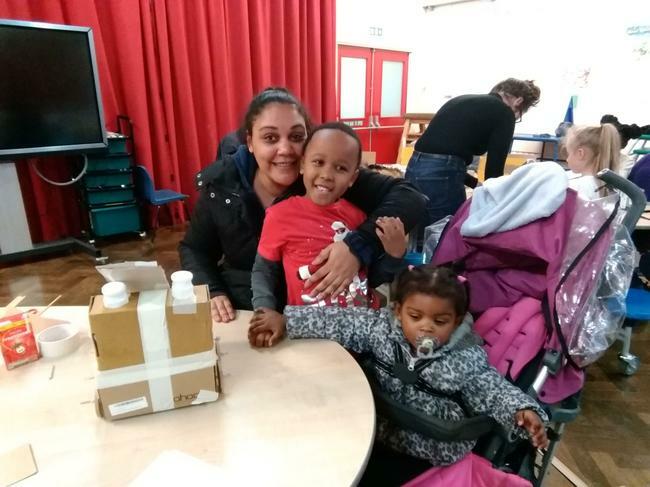 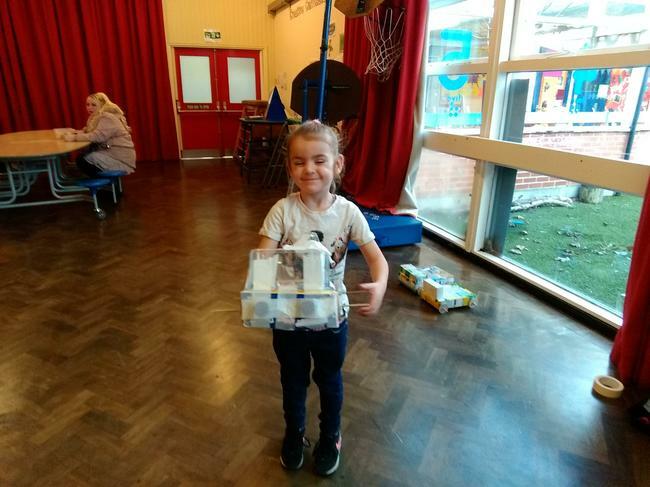 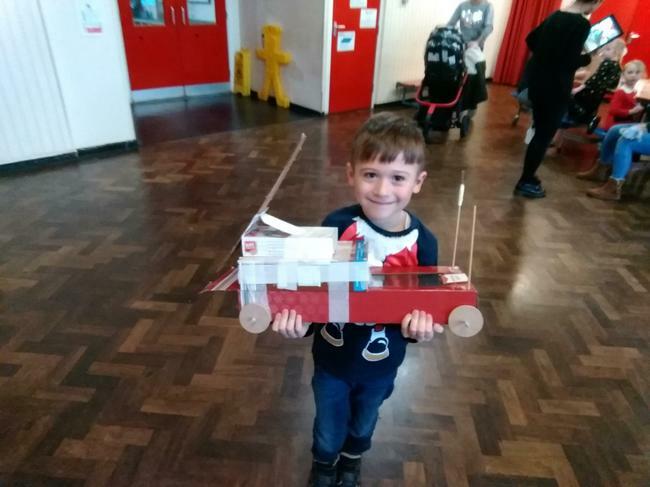 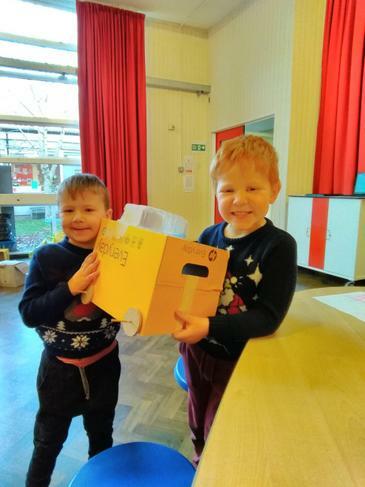 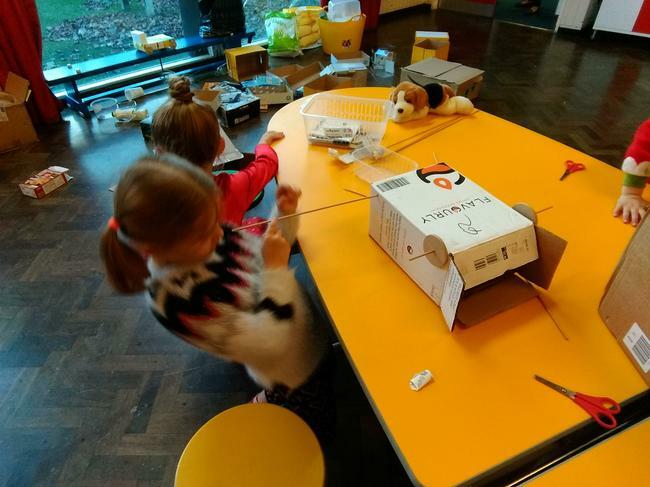 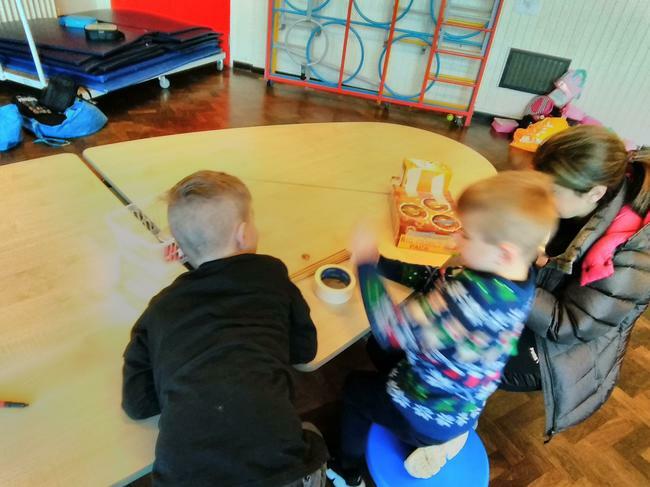 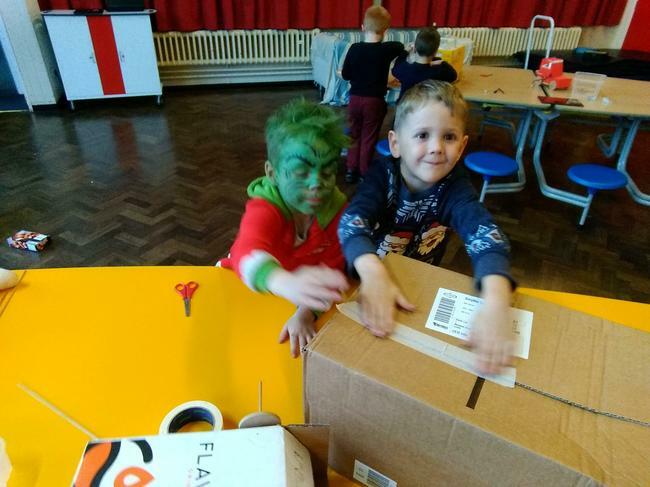 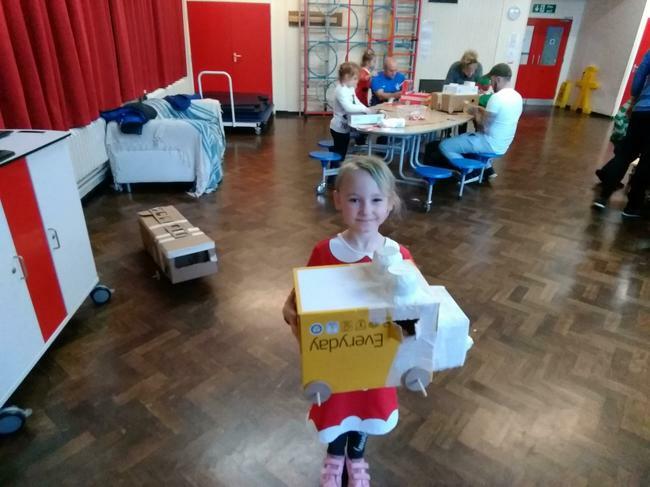 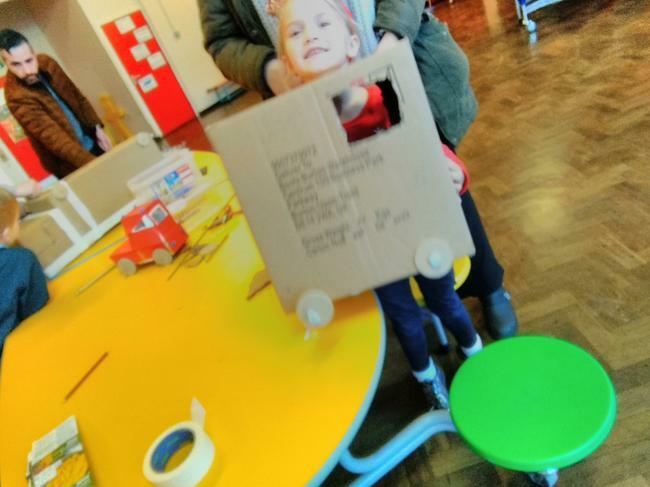 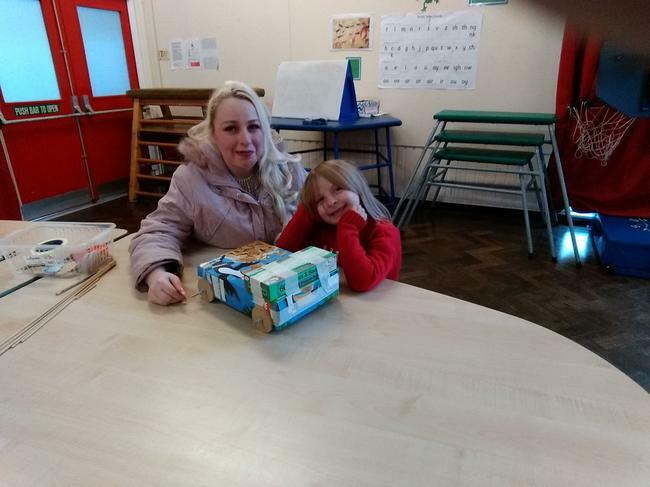 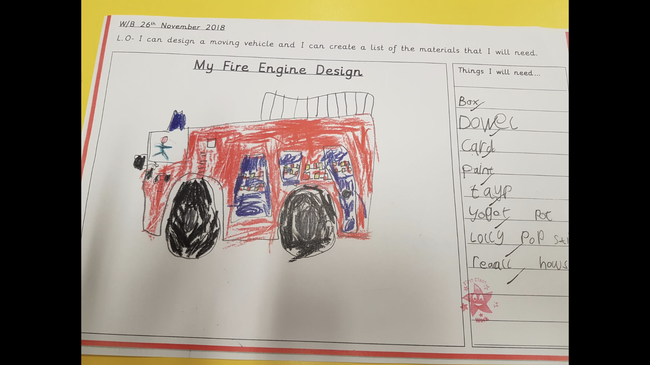 The children worked really well with the group ups to make and design some very unique fire engines. 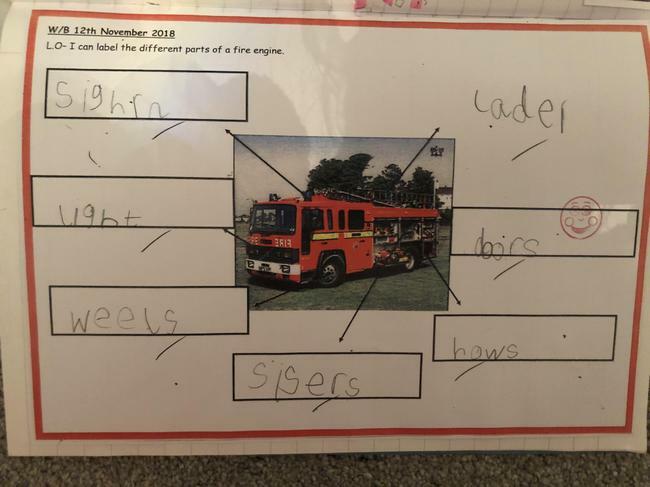 They used Dowel and wooden wheels to make the fire engines move. 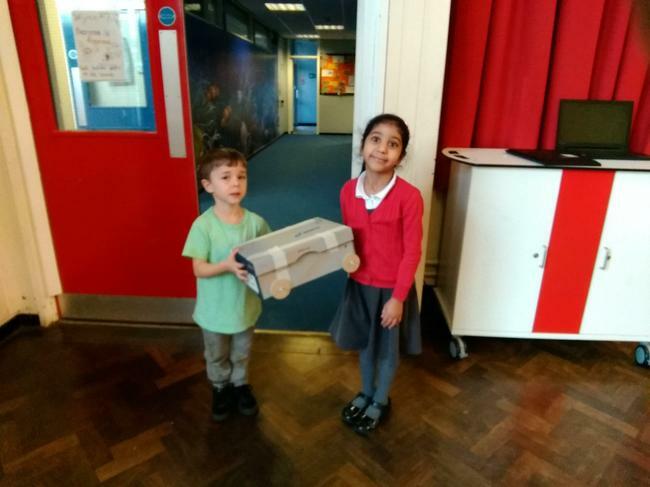 Well done year 1 you all did fantastic! 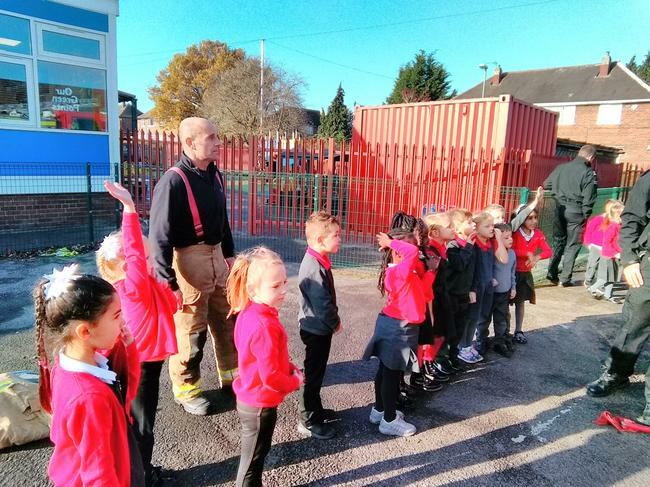 Making our fire engines move! 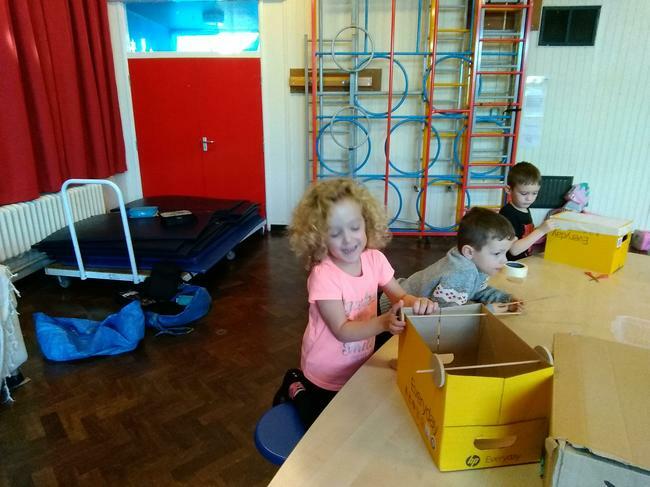 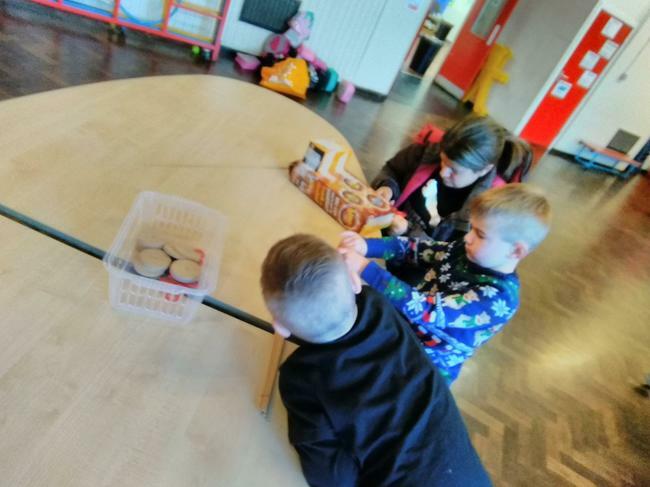 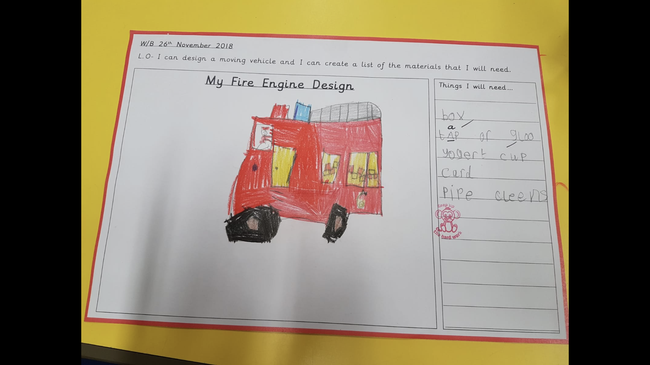 This week the children have begun making the moving element to our fire engines. 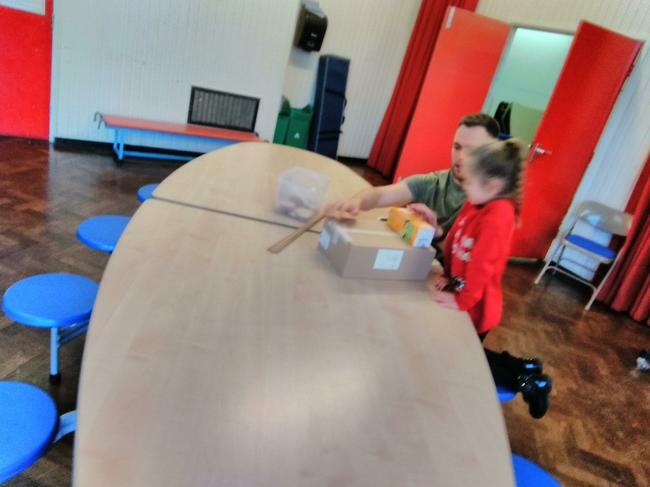 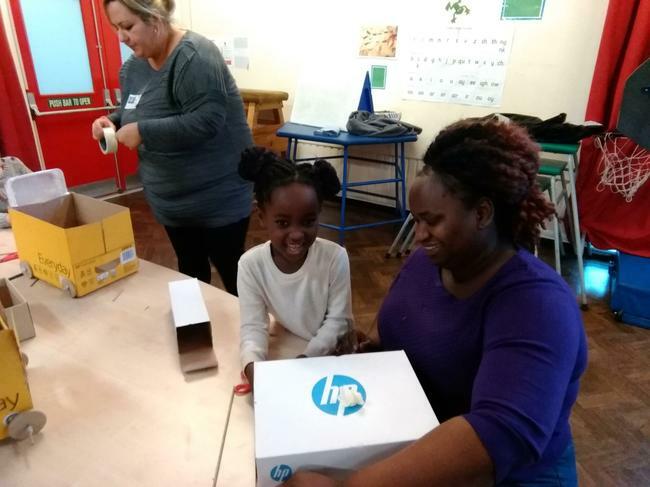 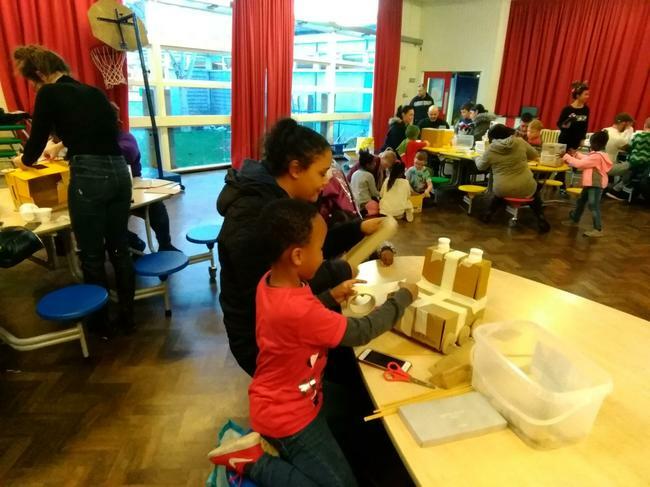 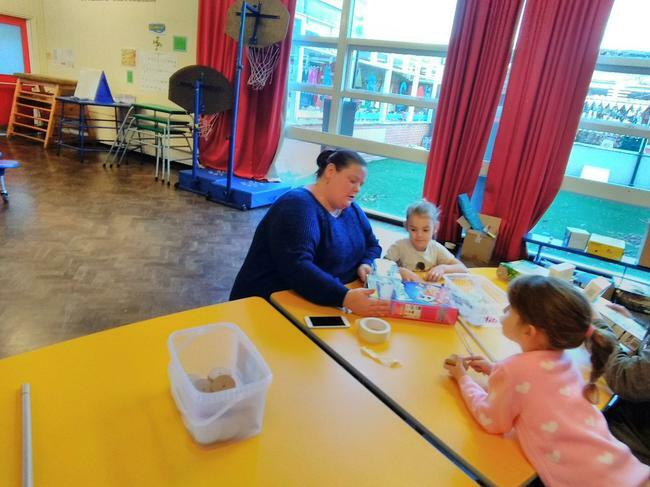 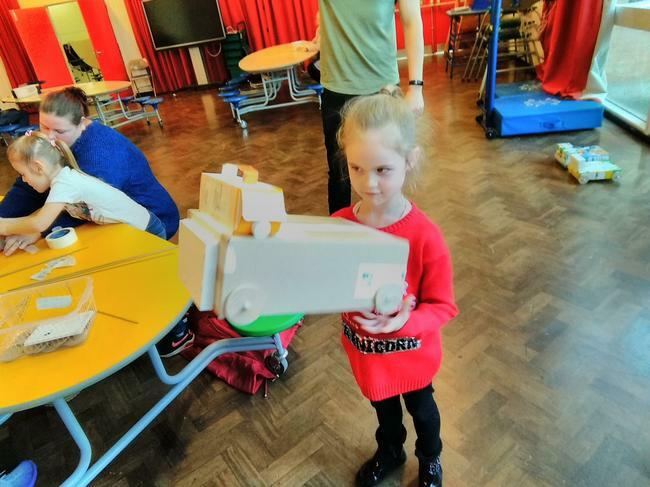 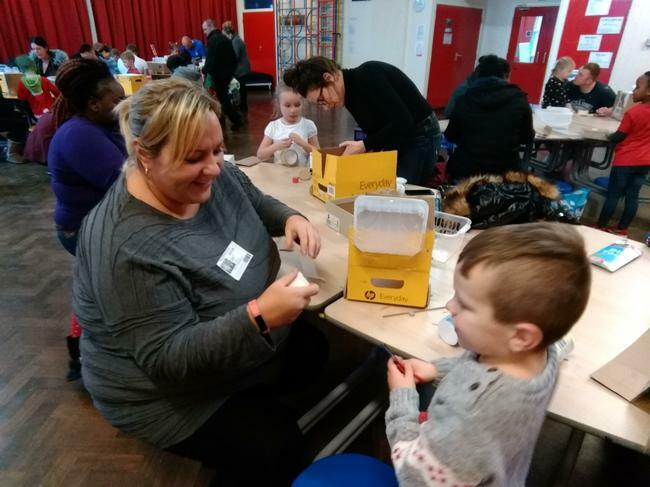 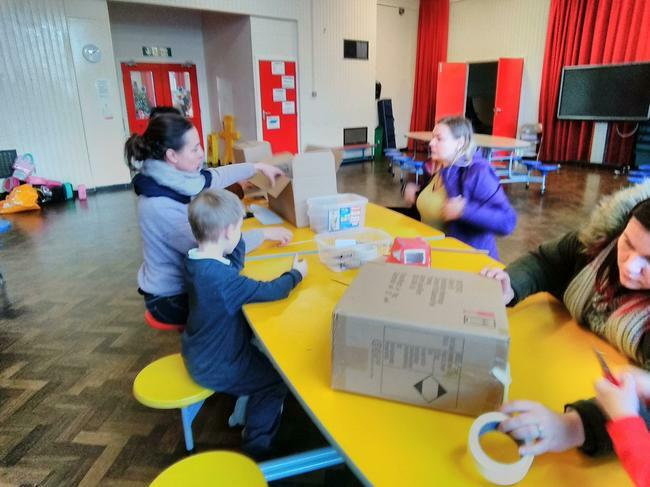 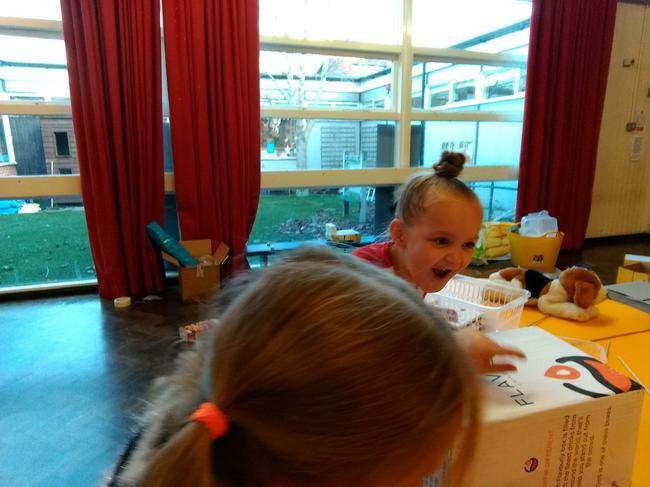 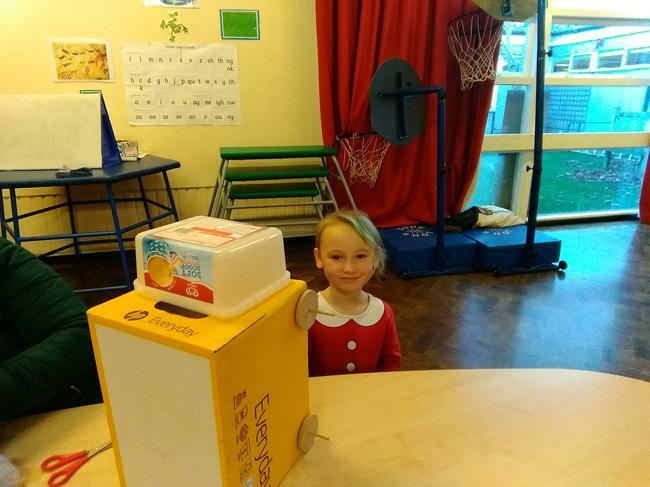 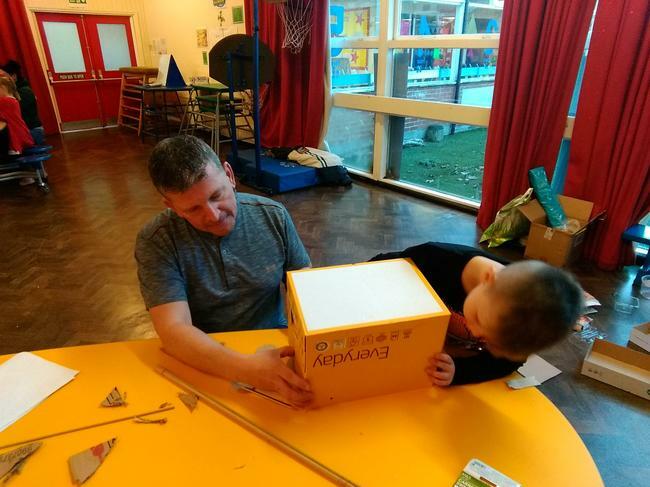 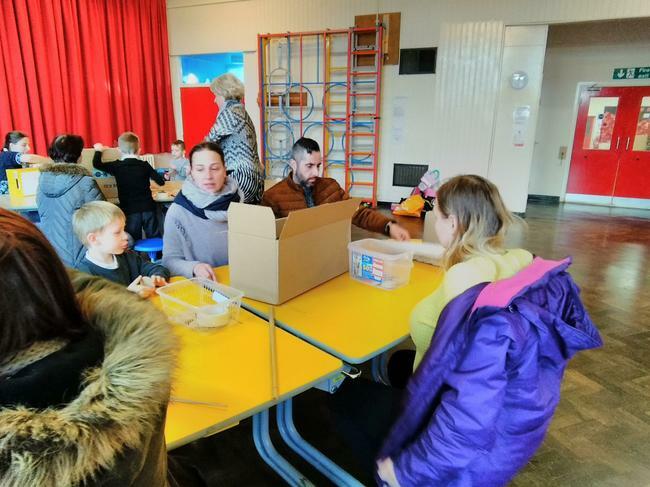 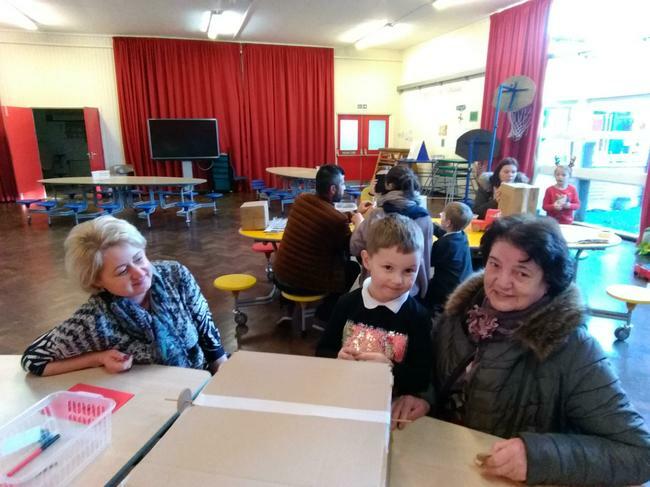 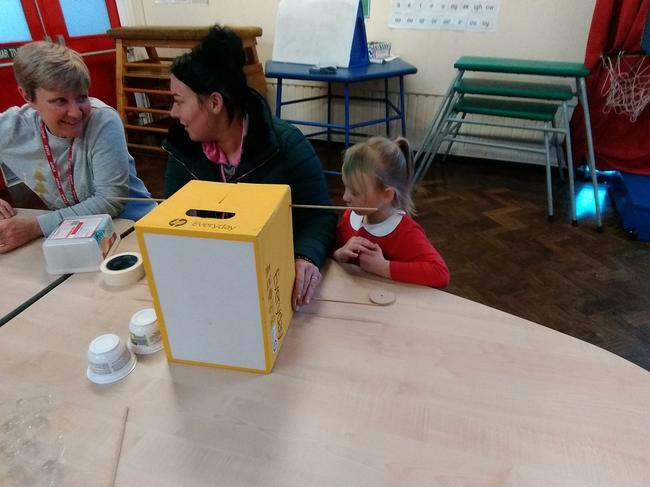 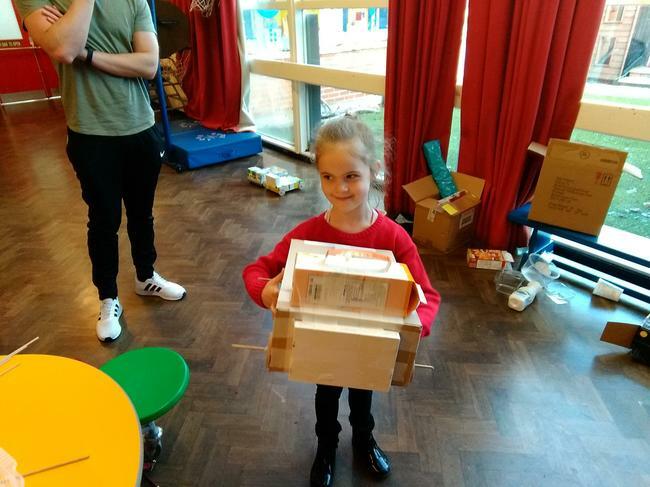 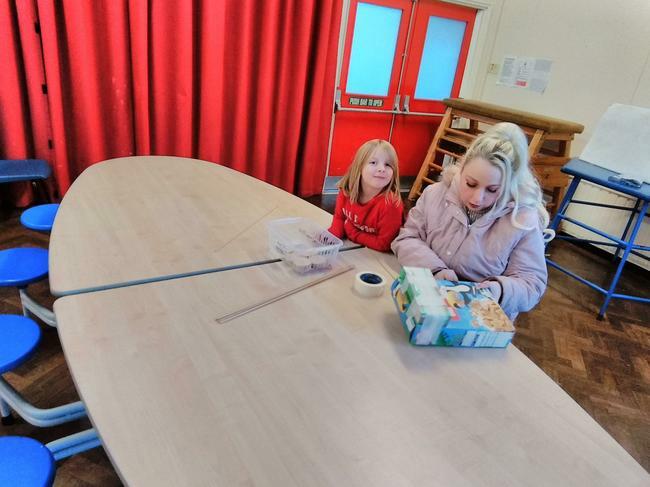 We had lots and of help from the parents with this. 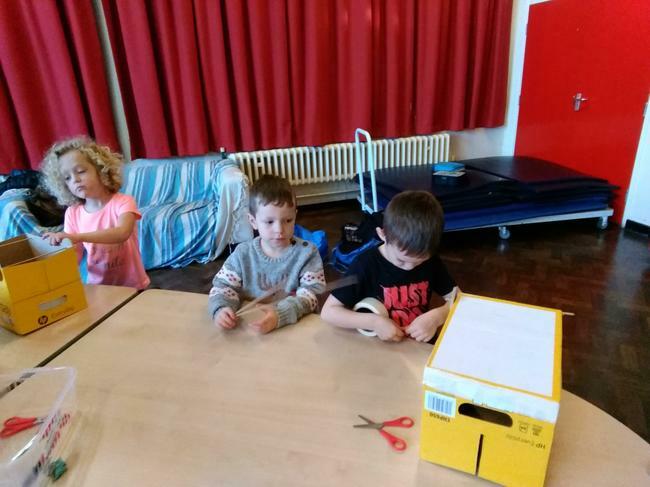 We had loads on fun! 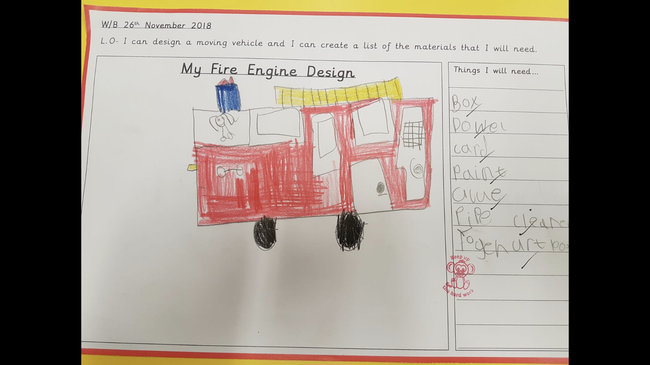 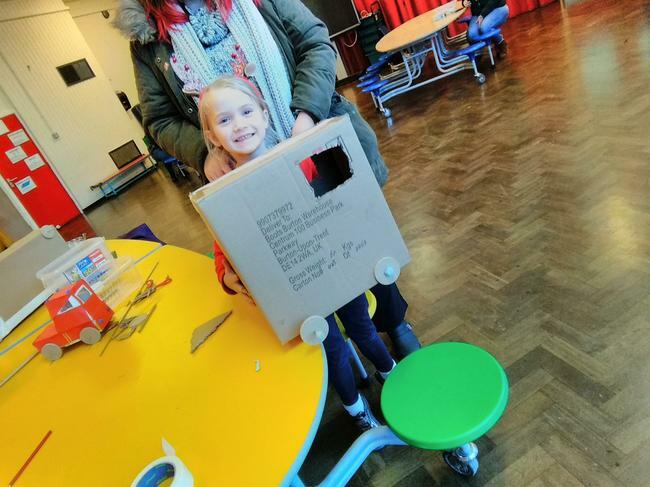 This week we have designed our own fire engines that we will begin making next week during our DT lesson. 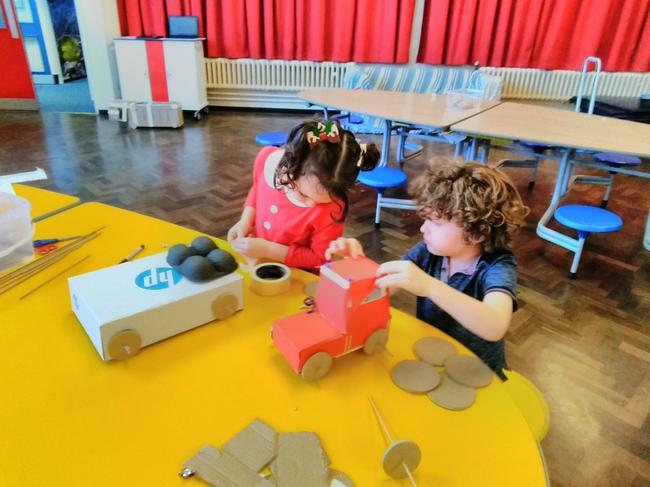 First we thought about the materials that we would need to use when making the moving element (e.g. 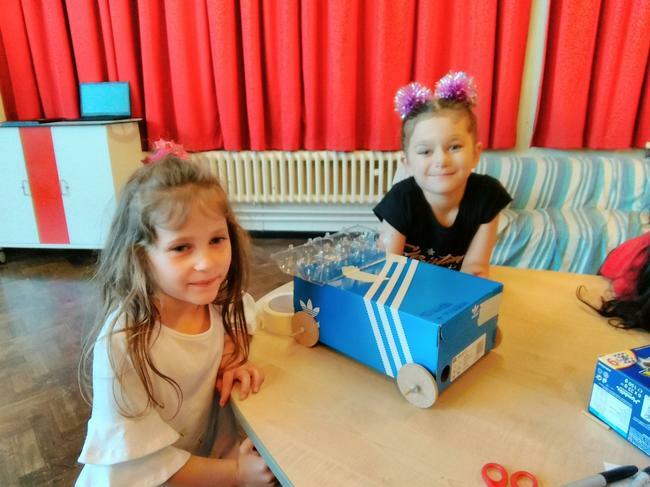 the wheels) and then we decided on the materials that we will need to create the rest of the engine. 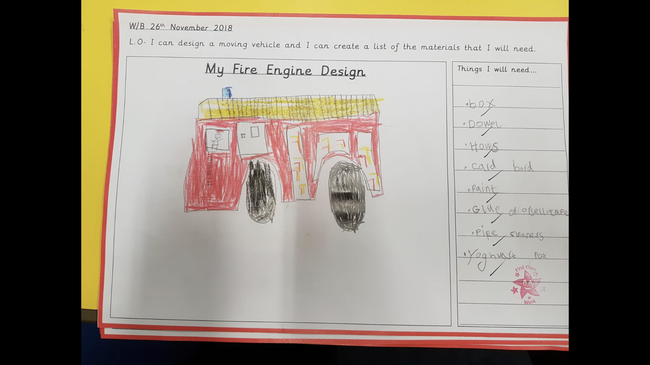 We wrote a list of things that we will need for next week and we coloured our designs in thinking about the appropriate colours and features. 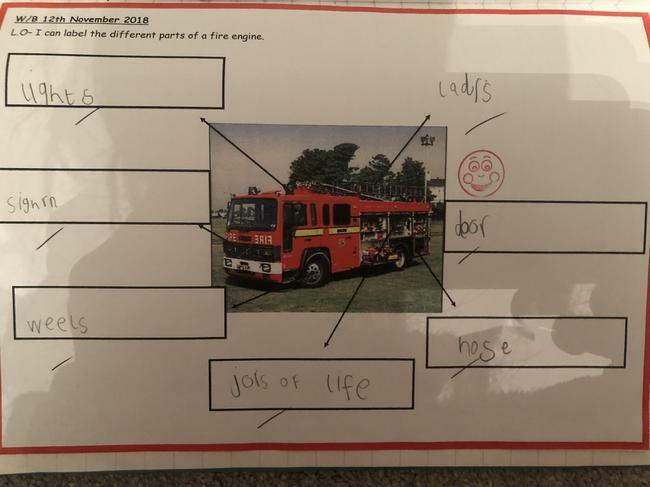 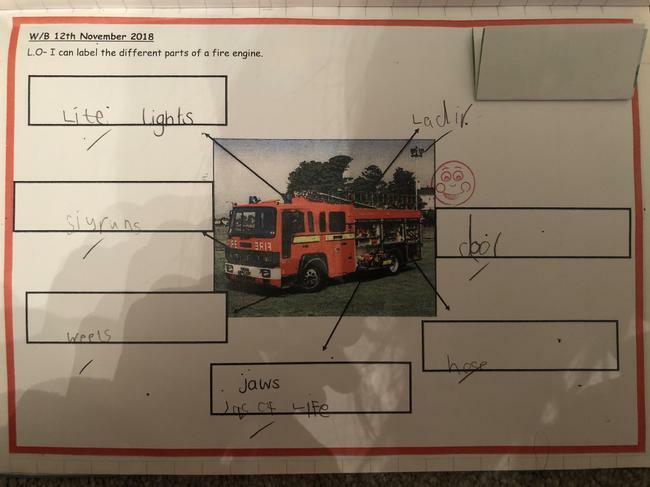 This we have been labeling the different parts of a fire engine ready to begin our designs next week. 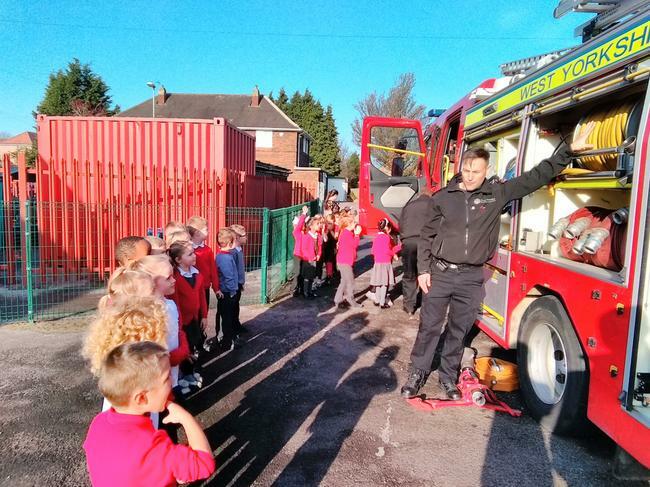 This week we had a very exciting visit from the local fire service. 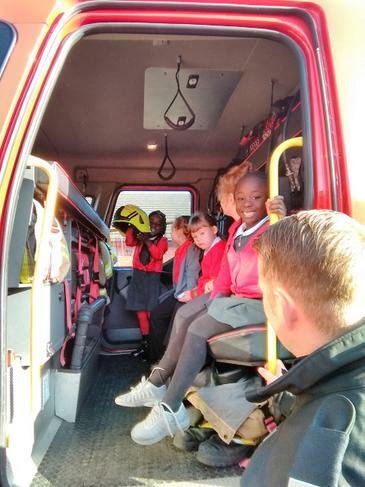 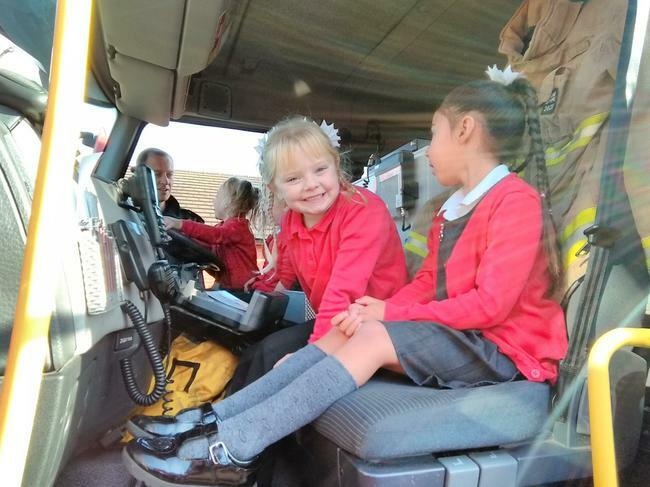 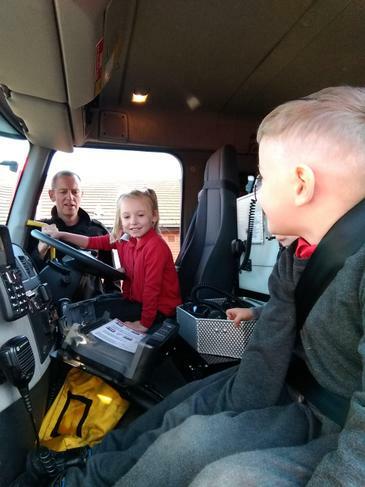 We learnt all about the different parts of the fire engine and we even got a chance to sit inside it. 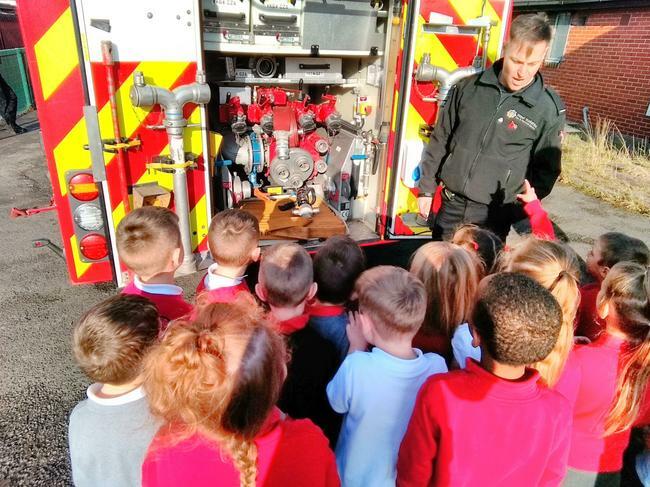 We looked closely the main parts of a fire engine and discussed the different shapes and colours that we could see. 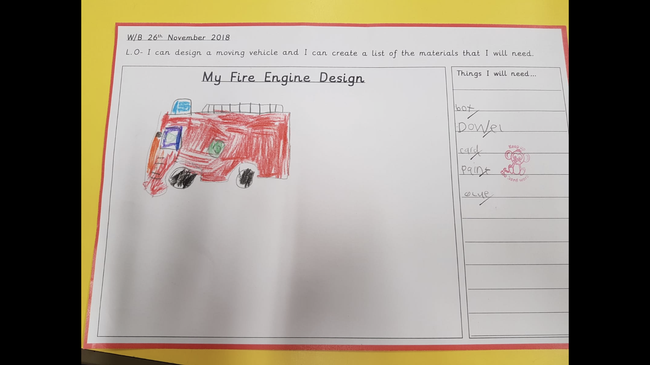 All of this learning will help us when starting to design our own fire engines in design and technology. 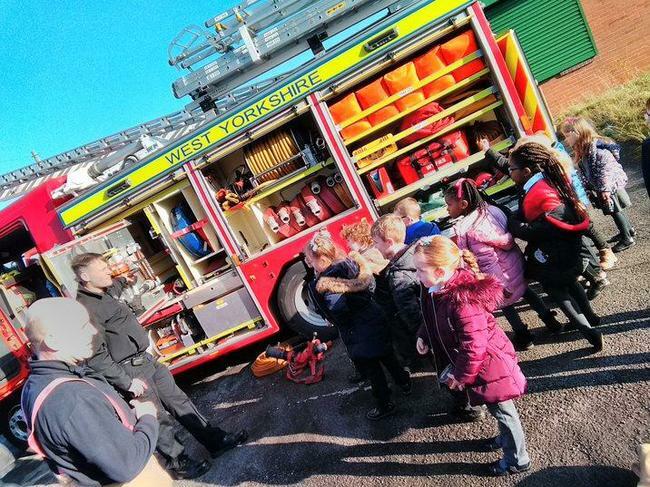 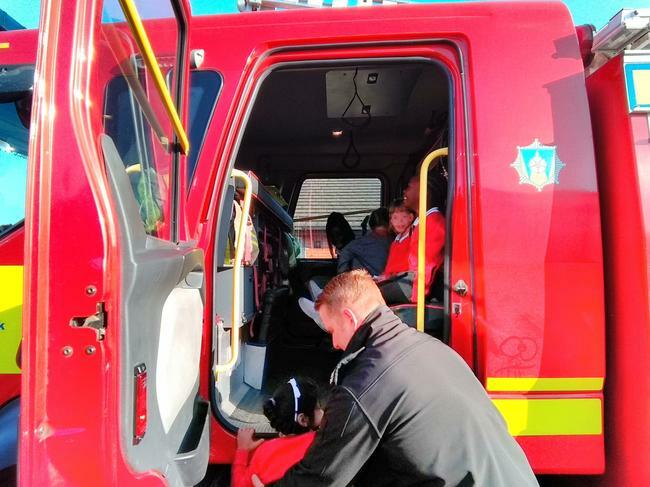 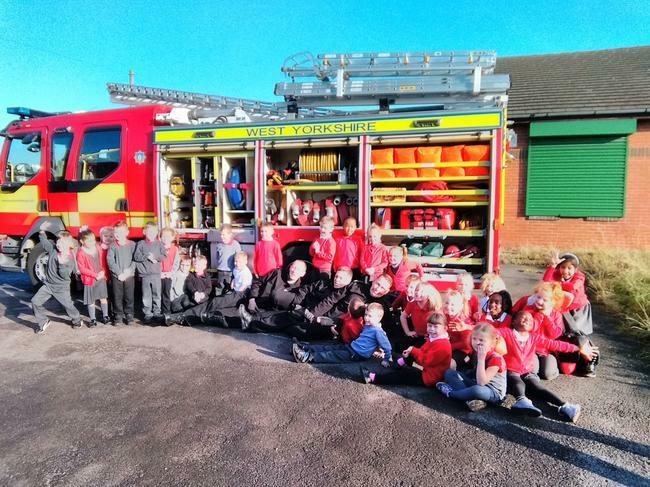 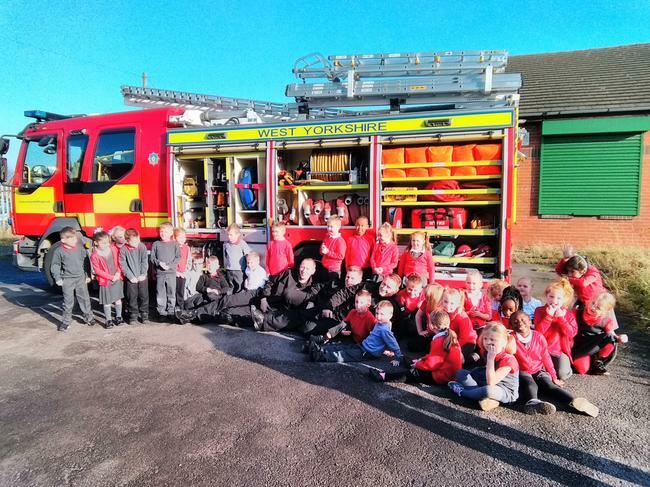 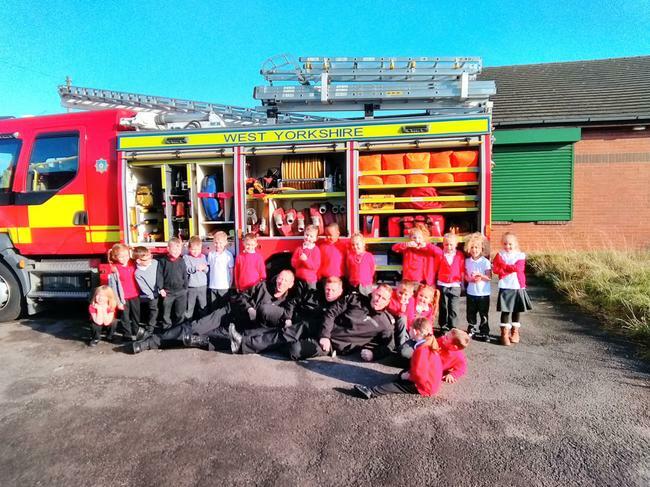 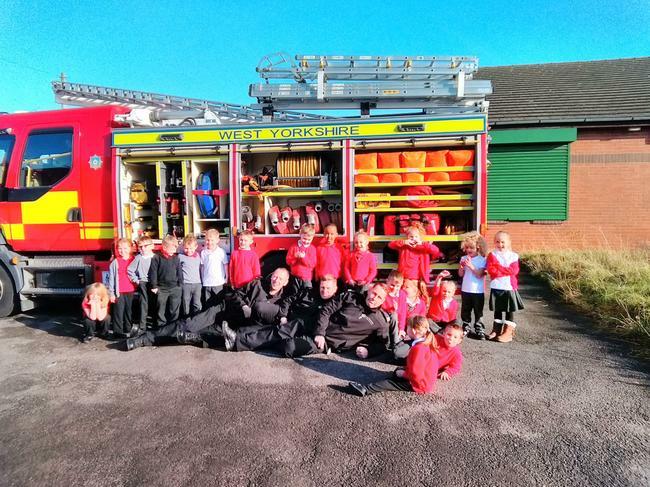 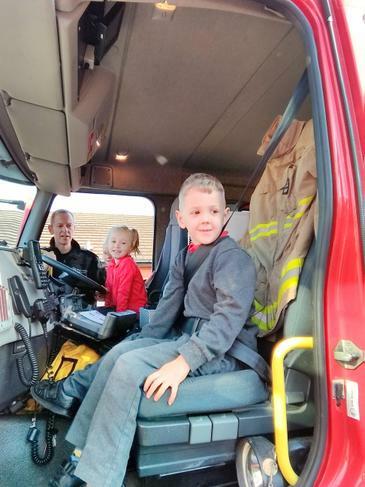 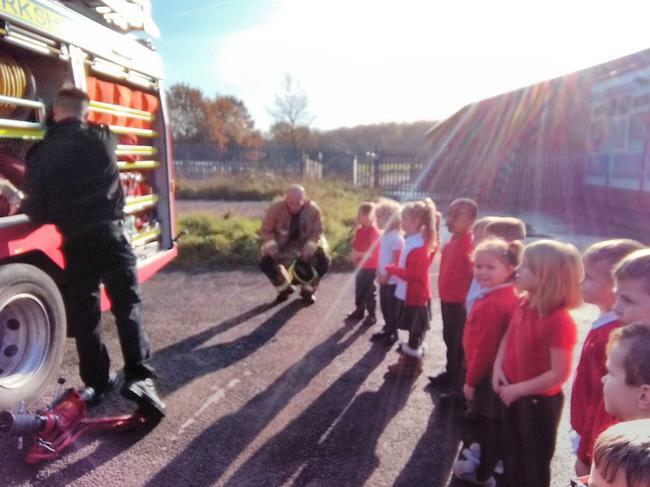 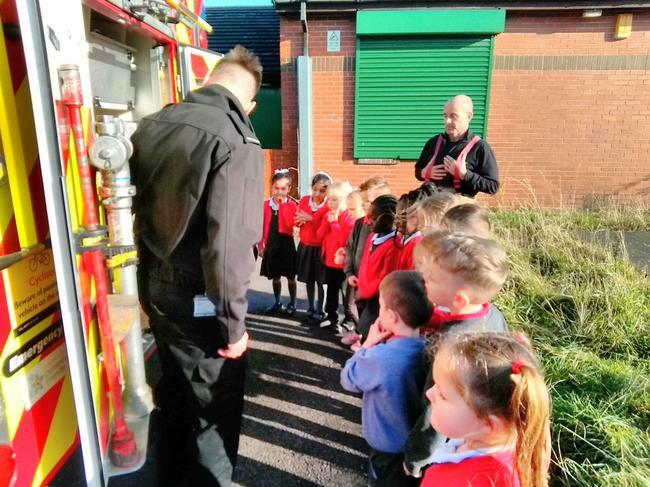 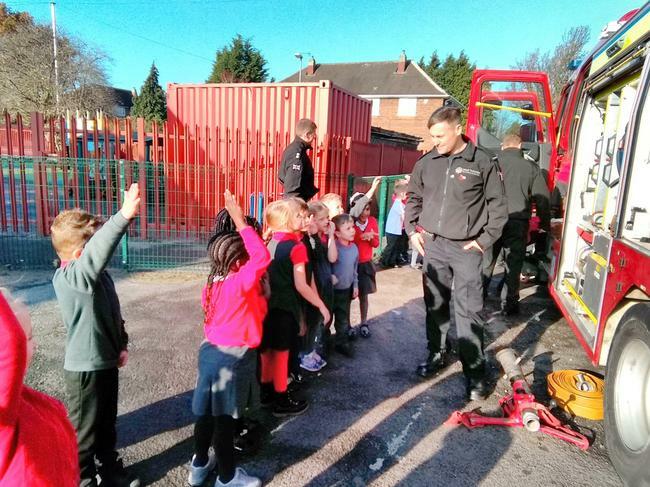 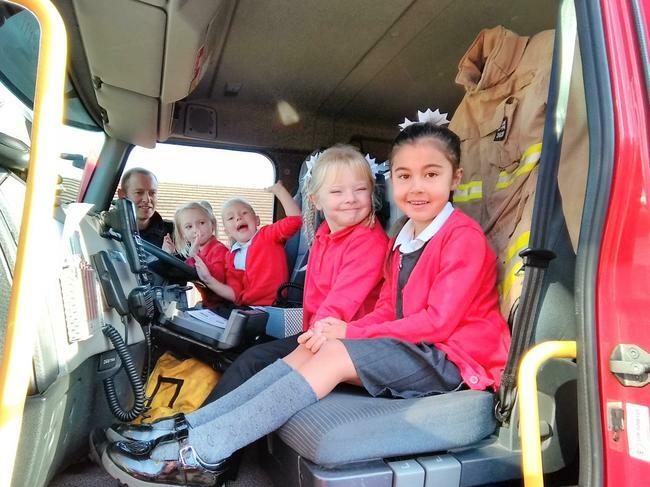 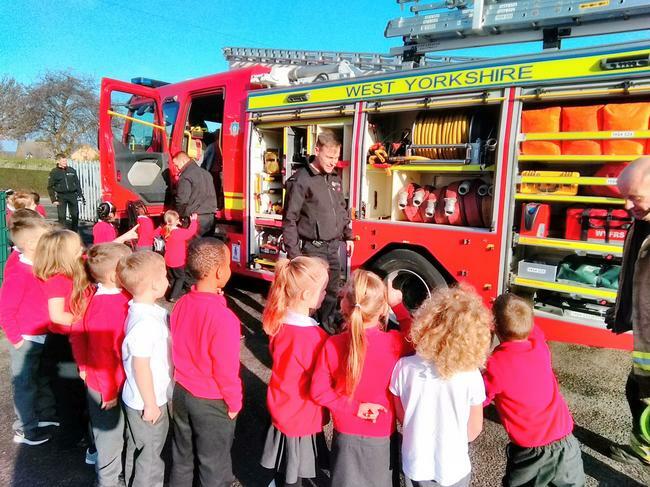 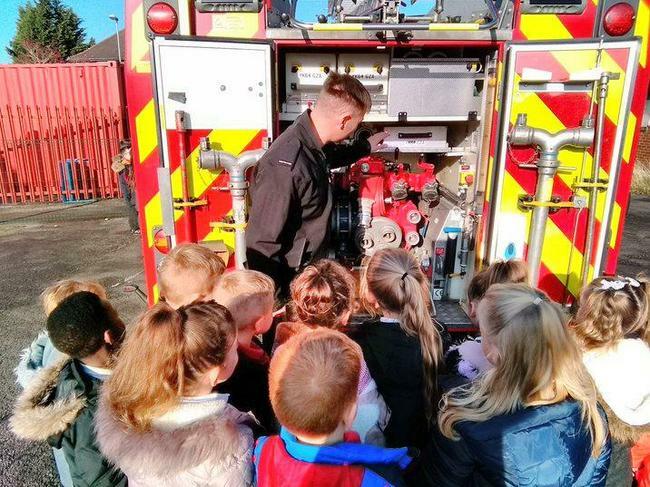 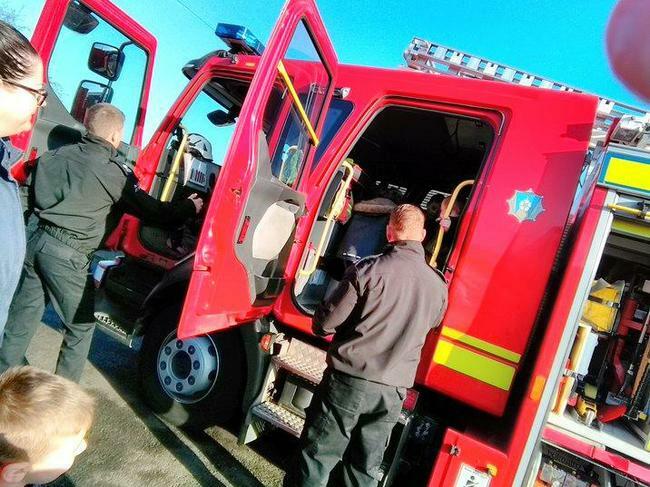 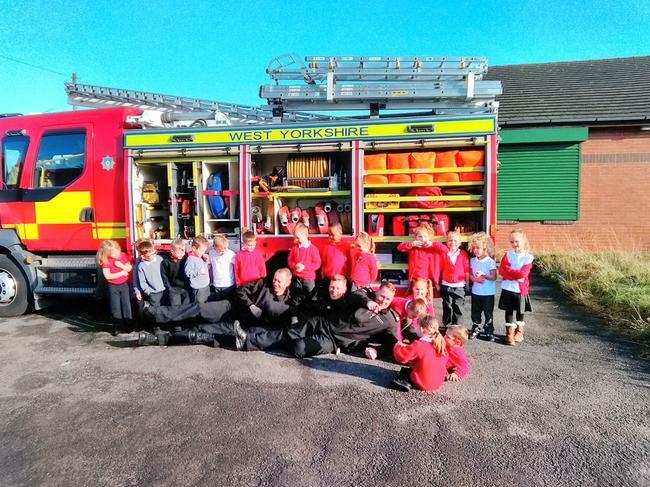 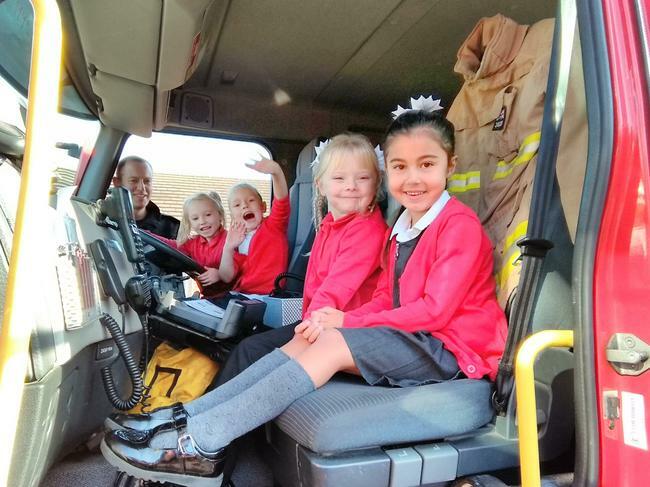 This week the children in Year 1 had an exciting visit from the fire service. 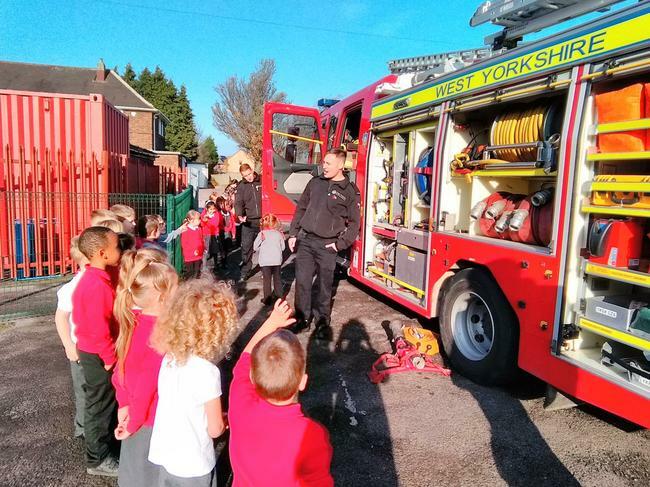 They came in their fire engine and gave a talk about fire safety, equipment they use and what their job is like. 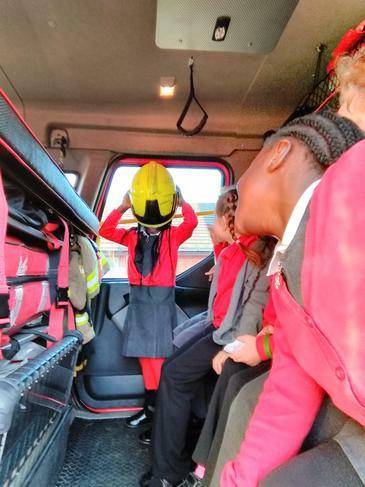 The children loved trying on the helmets, sitting in the fire engine and learning lots of facts!